On May 10th, 2016, at approximately 5:15 p.m. Dubuque Police arrested Dennis James (D.J.) Sharkey II, 50, at his residence (2815½ Pinard Street, Dubuque) on a federal arrest warrant charging Conspiracy to Distribute Methamphetamine. 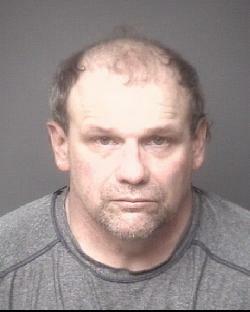 He was transported to the Dubuque County Jail and later turned over to federal authorities. The arrest warrant was issued and executed as part of the ongoing methamphetamine investigation involving federal and local authorities.